Light People on Fire: Funny to the max, burst on fire and light the people on fire. Watch out for the rain though, it will make you shrink, however when you press ctrl, to hide yourself (into a tree), and are under the rain, you will grow and grow and grow. Trust me this is fun! 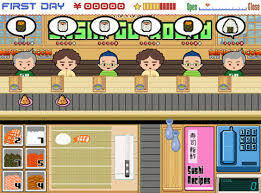 Sushi Go Round: Serve all kinds of sushi to local Japanese people, be sure to keep a good reputation and follow the sacred recipes, to be on your way to the sushi top. Movie Munchies: Same concept as Sushi Go Round, except your serving theater snacks. Not, as great as Sushi Go Round, but worth the look. 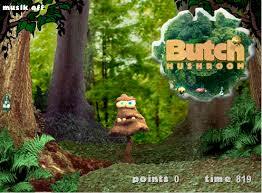 Butch Mushroom: Oh my gosh! Is the first thing, you think of, when you play this game. You are a mushroom, with human characteristics, and you are eating bugs. When the dumb mushroom is catching a bug with it's gecko like tongue, you see giant teeth. Look, this game is as odd as it gets. I would give it a looksy and you'll see what I'm talking about. 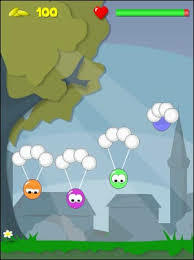 Base Jumping: You are a weird round head (nothing more) and you are trying to beat the other retarded heads from hitting the ground first. To succeed in doing this, you must pull your parachute as late as you can, while not killing yourself from hitting the ground to hard. It's actually a dumb enough game to be fun, trust me, you will like it. Pingu Seal Bounce: Once upon a time, on the bottom of the world, in a big ice trench, there is a Yeti, who hates the annoying penguins, swimming around him. A penguin leaps in the air and the yeti grabs him. Using his incredible strength, Mr. Yeti throws the penguin high into the air, hitting the ice walls hard, and then the penguin came flying down dead. Mr. Yeti grabs another penguin (hoping to break his height record) and the cycle continues. Yeti Sports 4: Mr. yeti is mad again, and once again he takes his anger out on the penguins. In Australia he has set up catapult for the penguins, and will stomp on it, every time a penguin lands on it. Then the seagulls will have it's business with the penguin. Like all the other Pingu games, this one is penguishes. Pingu Throw: And yet again Mr. Yeti has set up a little baseball game, with his penguin enemies. Mr. Yeti hopes to bust a Pingu brain open, with his big caveman size bat. Shopping Cart Hero: Do you have what it takes to become a hero, a Shopping Cart Hero, then fly your way to justice in the new, popular game, Shopping Cart Hero. 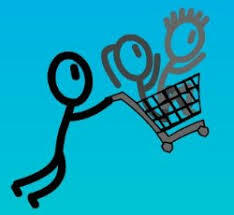 Earn cash to buy new upgrades for your cart and eventually become the hero of shopping carts. Caution: Hero can die.